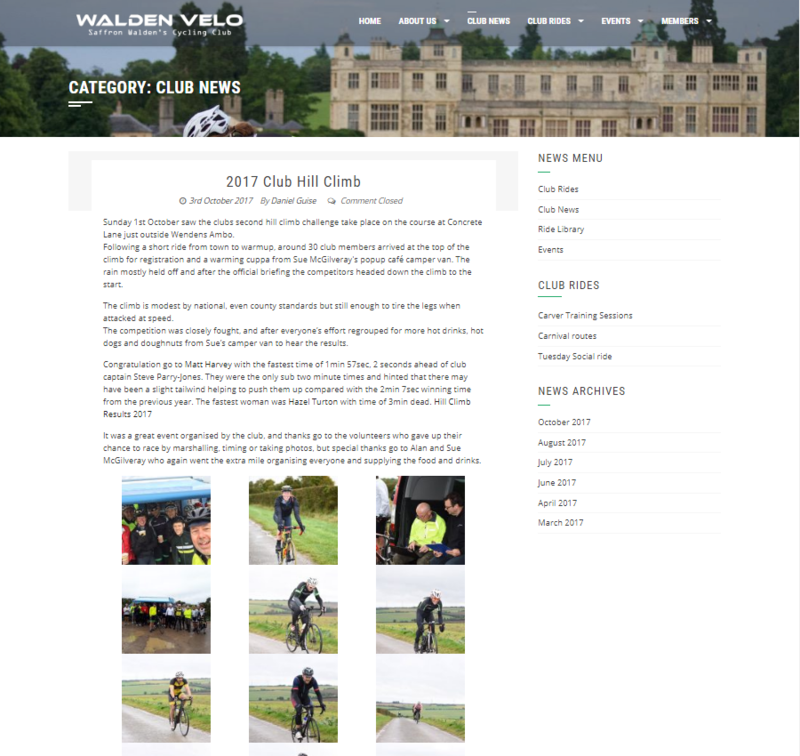 Home Page The Home page leads visitors into the key areas of the website. 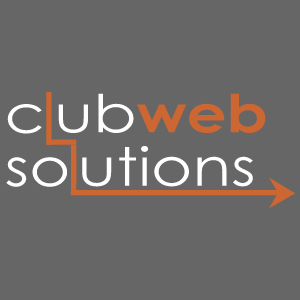 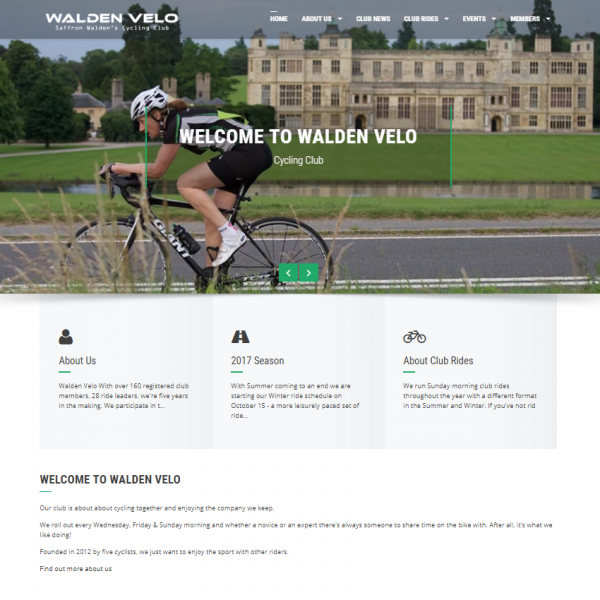 This reflects the Walden Velo colours and promotes the professional and friendly image of the club. 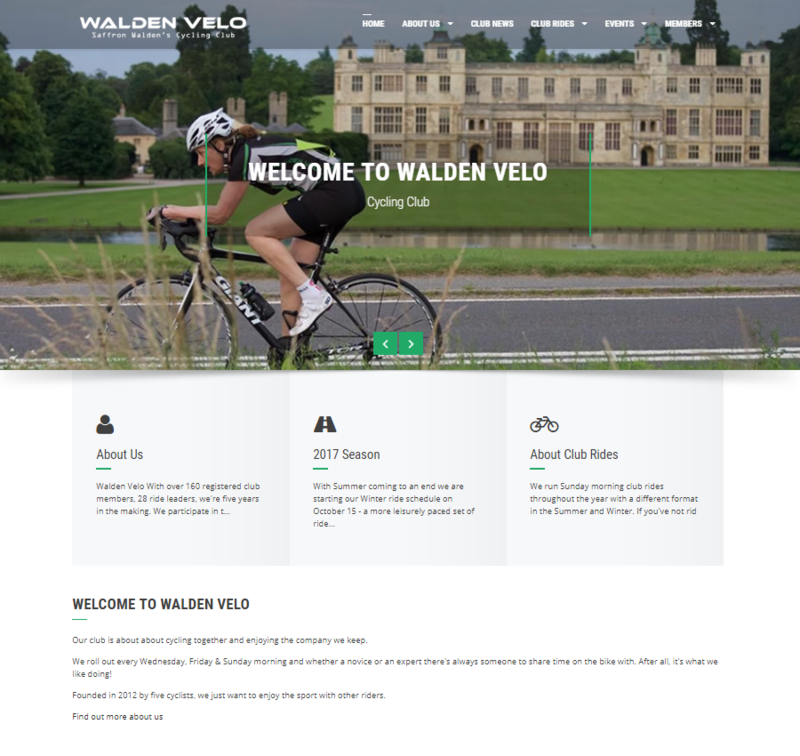 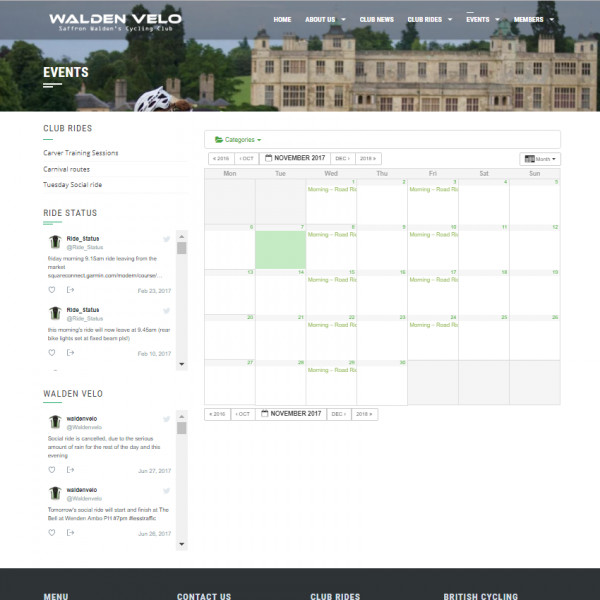 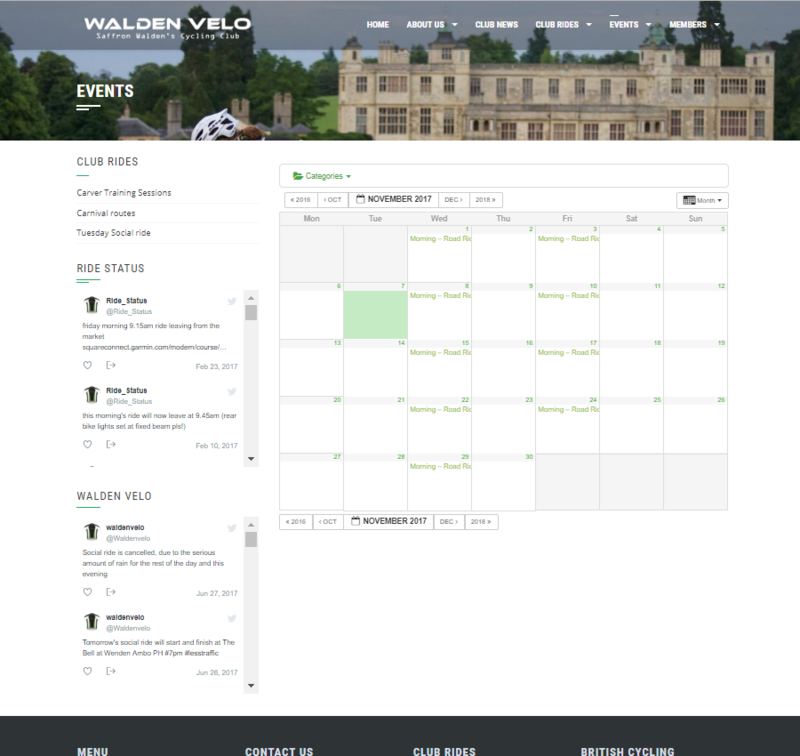 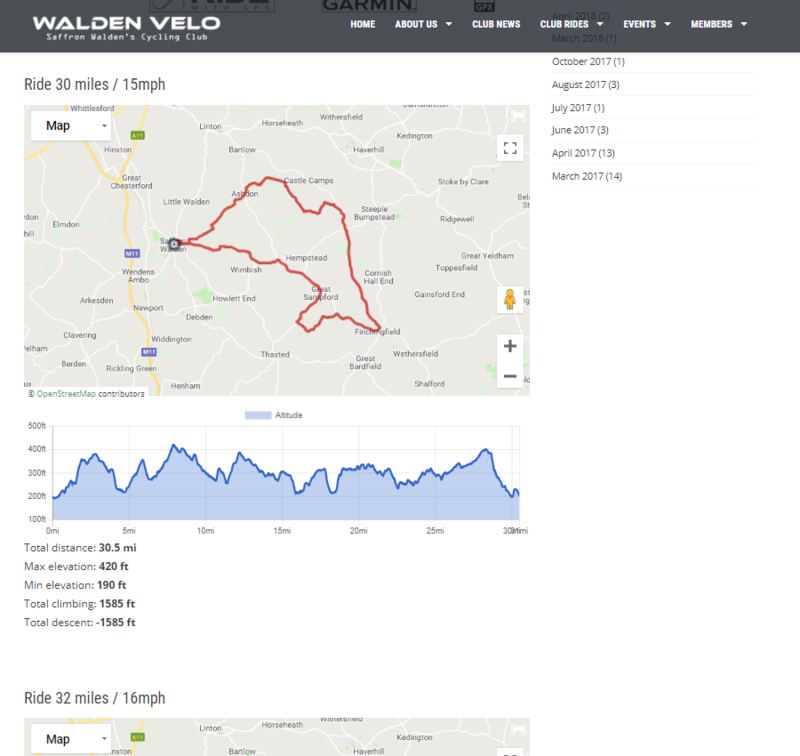 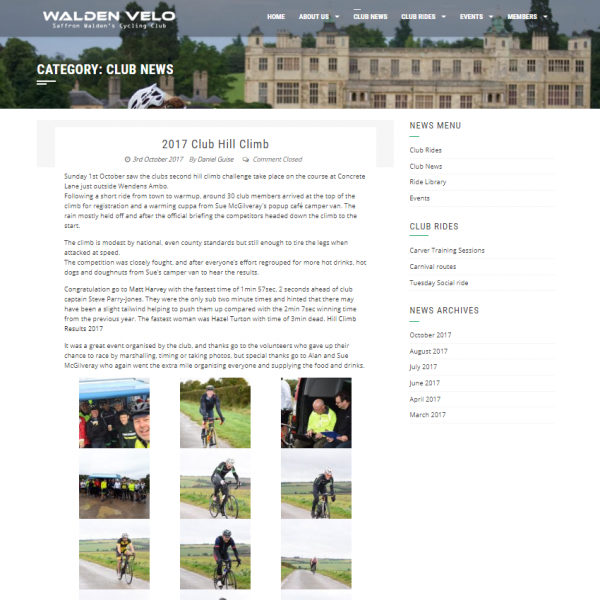 Ride Library Walden Velo can add different types of posts onto their site which appear on different pages. 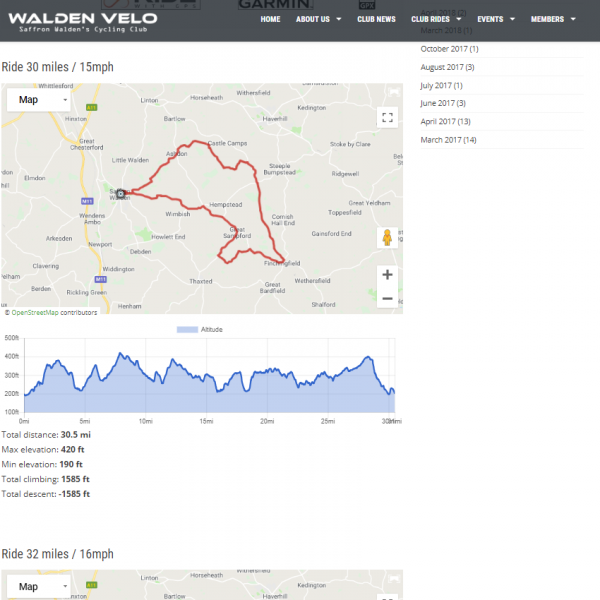 The Ride Library, includes maps and details of different cycle routes, plus links for cyclists to download the route gpx files.